On some occasions, it would be useful to set the export resolution in terms of number of pixels rather than DPI. It is a very important feature to be added, indeed. FidoCadJ can do that on the command line and there is no reason why it should not doable with the GUI. 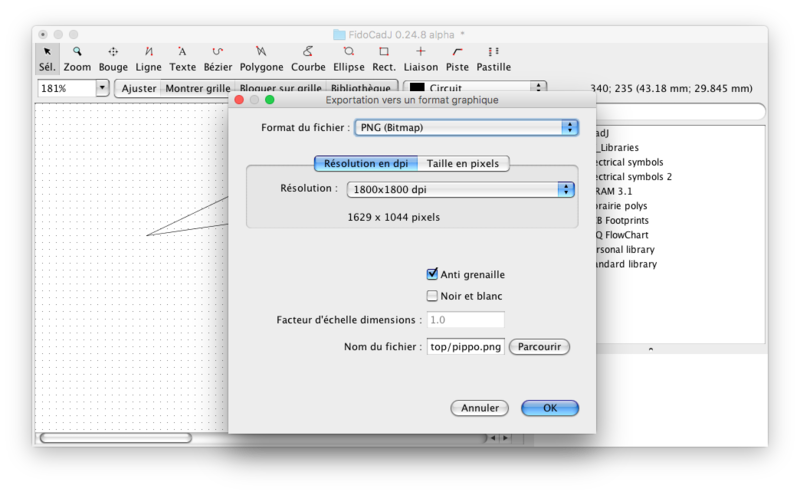 It should also show a preview of the image size when setting the resolution in dpi. …e the export dialog is shown. Remember if the last export was resolution-based or size-based. This should complete issue #147. I think everything has been implemented now, so I close this issue. Thank you a lot @DarwinNE !